Feist has got some tour dates lined up for the coming fall, you should check them out here, and she will also be, through the magic of videotape, making an appearance on Saturday Night Live tonight. Yes, it's a repeat broadcast with newscaster Brian Williams hosting and little Feist doing "1, 2, 3, 4" and "I Feel It All". Here are mp3s of those two SNL performances, but they're mono. Sorry about that, but I can't find stereo mp3s of those two songs anywhere. Although, to lessen that pain, I offer you the sets she did for NPR's World Cafe in 2005 and 2007, as an added bonus (and a couple of remixes). 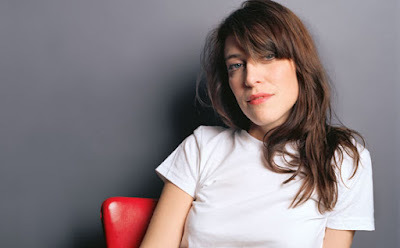 Visit her Canadian label here, her myspace, and eMusic (the indie iTunes) to download Feist's music (the availability of her music will depend on your country of origin). Check into eMusic's Free Trial offer right here. These mp3s are no longer available. been a long time since i last comment on Seyes. Alan i'm into Feist a lot, her song Know How ( feat. King of C.) amazing. And Leisure Suite is another awesome song of her. My Moon My man never tastes boring since the release in 2007.